This family was referred to me by some near and dear clients (thank you Krauss family! 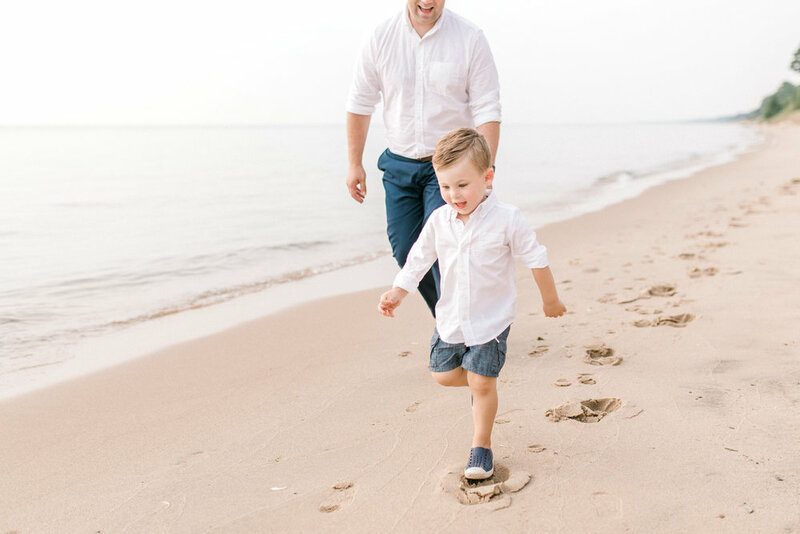 ), and we met out on Lake Michigan’s shoreline for their session! We kept those boys dry as long as we could, but inevitably they ended up kicking, splashing, and soaking wet with their shirts off. Honestly, those tend to be some of the greatest photos! The ones where you just let the kids be…kids! Those are the moments that feel real, that when you reflect back on, you can just feel their personalities shining through. 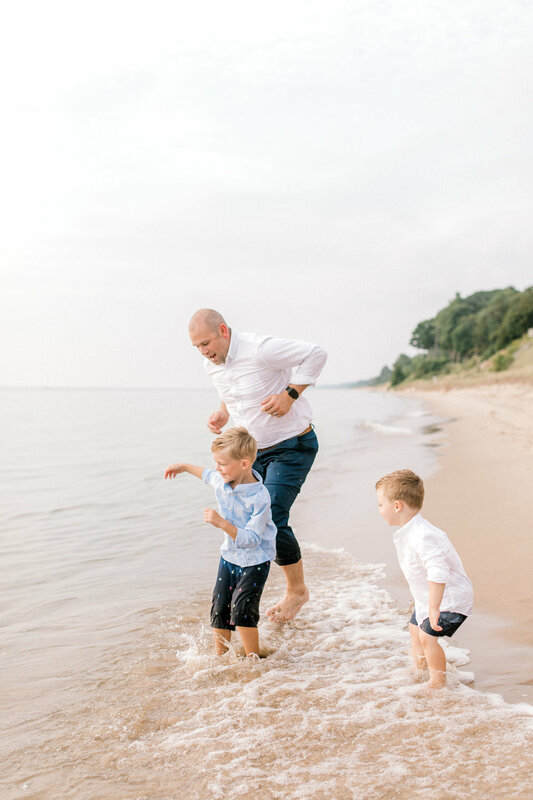 I always aim for that emotion during my family sessions and get giddy when we nail those shots! It was so wonderful getting to know this crew during our time together. Come to found out we had A LOT of mutual friends and connections, and coincidentally those handsome boys of theirs are named Sawyer and Bennett. Well hey now…my first born is named Sawyer Bennett! We had a laugh about that one! With gorgeous people, a beautiful evening, and sparkling water, you can’t really go wrong. So without further ado…the Brzezinski Family!